The Camilla dining collection brings you a practical dining experience with a casual, relaxed vibe. Allow yourself to create a dining room that allows for sensible storage with a buffet and hutch combination while also delivering room for important people with arm and side chairs. Wood panels on the table help enhance the homey vibe while the neutral color of the padding allows the warm, dark toned wood to speak for itself. 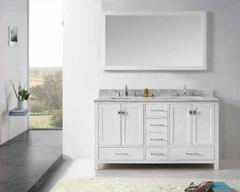 Together these pieces create a space that is full of happiness and style for you and your family. 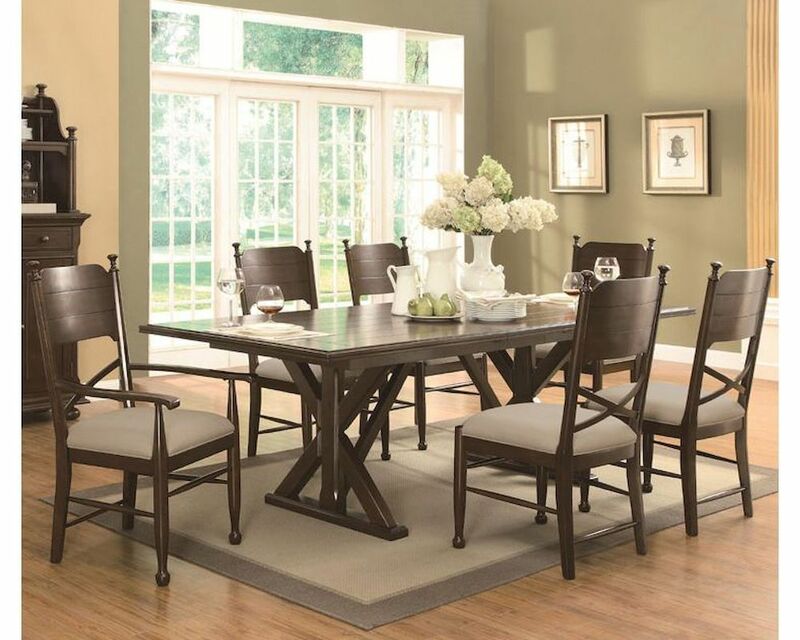 Together this seven piece set can accomplish all of your dining needs without giving up your relaxed, casual style. Includes two arm chairs and four side chairs, that feature x design backs and padded fabric cushion for comfort. The table sits on two x designed pedestals which tie in beautifully with the complementing chair backs to create a simple, easy flow throughout the room. 1 x 18" leaf that extends table from 77.25" to 95.25"